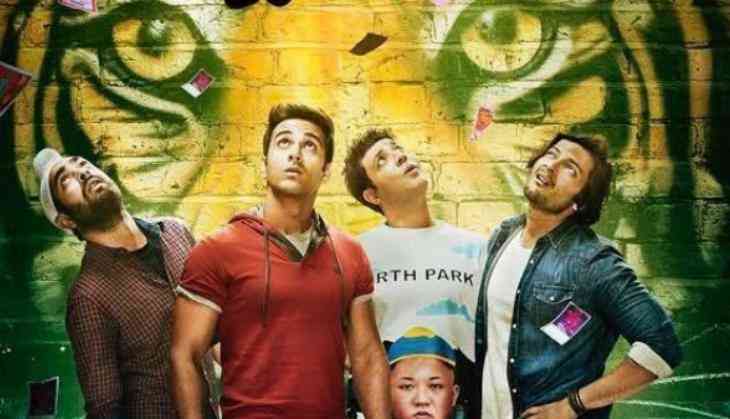 Fukrey Returns Weekend Box office Collection - The Richa Chadha, Pulkit Samrat, Varun Sharma, Manjot Singh, Ali Fazal starring film Fukrey Returns has performed very well at the box office and it is a sure shot hit in just three opening days. The film that started with 8.10 crores on its opening day has collected 30 crores in the opening weekend. The film is a sequel to 2013 released sleeper hit film 'Fukrey' and this time the audience and fans were really excited about the film. In the starting, the makers only focused on the promotions to recall the memories of Fukrey so the audience comes to watch the film in the first part only. According to the trade analyst Taran Adarsh tweet, the film has collected 12.80 crores* on its 3rd day and it has collected 32.20 crores* in the opening weekend. And #FukreyReturns has a REMARKABLE opening weekend... Crosses ₹ 30 cr mark... Expected to cross *lifetime biz* of #Fukrey [₹ 36.50 cr] on Day 4 [Mon], as per current trending... Fri 8.10 cr, Sat 11.30 cr, Sun 12.80 cr. Total: ₹ 32.20 cr. India biz. The film that has made in the low budget has already been hit at the box office and according to trade experts, the film can do more than 60 crores business in the opening week. Even the film has two weeks to perform at the box office till Salman Khan is not coming with Tiger Zinda Hai. Well, it has to see that Shah Rukh Khan's Don series makers produced this film will do 100 crores business at the box office or not. The film is getting good word of mouth and critics review.